Golden Days Hotel is located in Afandou, on the charming Island of Rhodes, just one mile away from the ever popular Afandou beach. It has spectacular views of the Aegean Sea and is a stone''s throw away from a variety of bars, restaurants and shops as well as being close to the Church of the Virgin Mary. The Golden Days Hotel in Afandou offers guests a traditional beach holiday in the fabulous Greek sun with comfortable guest rooms and classic facilities for comfort. Book into the Golden Days for great value for money and a great sun tan. Golden Days Hotel is located in Afandou, on the charming Island of Rhodes, just one mile away from the ever popular Afandou beach. It has spectacular views of the Aegean Sea and is a stone's throw away from a variety of bars, restaurants and shops as well as being close to the Church of the Virgin Mary. The Golden Days Hotel in Afandou offers guests a traditional beach holiday in the fabulous Greek sun with comfortable guest rooms and classic facilities for comfort. Book into the Golden Days for great value for money and a great sun tan! 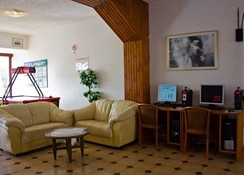 Getting to the hotel: This hotel is approximately 18 km from Rhodes International Airport. 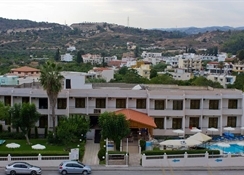 Local tips: The hotel is 19 kilometres from Rhodes town and 30 kilometres from the historic town of Lindos which is full of local charm and character. 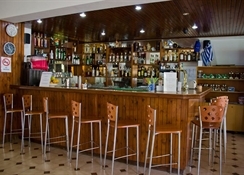 Food, drink and entertainment: Sitting room with big TV, breakfast room, restaurant & bar, and the hotel has weekly entertainment with once a week karaoke and once a week a 'Mentalist'. 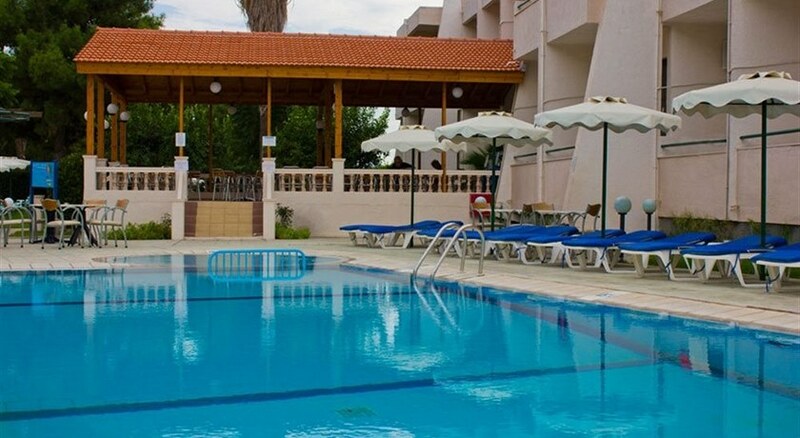 Sports, games and activities: Swimming pool with a bar, dart board, pool table, air hockey table and the Afandou Golf Course is only 1.5 kilometres from Golden Days Hotel. Additional: 24hr Reception service, safe boxes (with charge), WiFi lobby area (with charge), internet corner and regular housekeeping.